If you live in the US or Canada, you probably have one of those paint-your-own-ceramics places downtown or in a nearby mall. 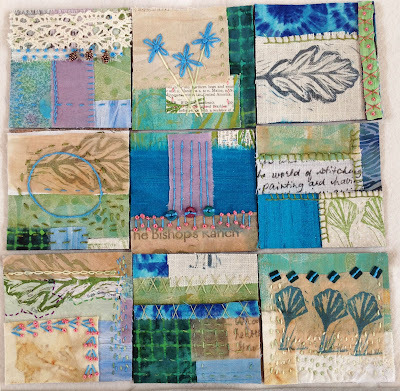 I took my stencils (designed by me for StencilGirl Products) and created these fun tile coasters. 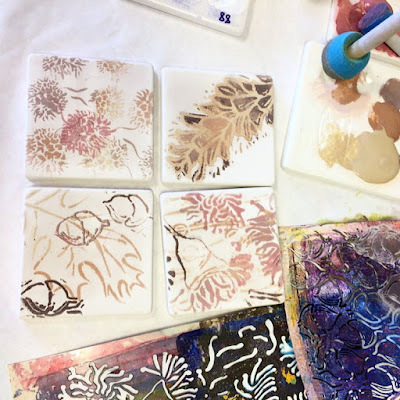 A week later, I picked them up all fired and shiny! Easy and fun! 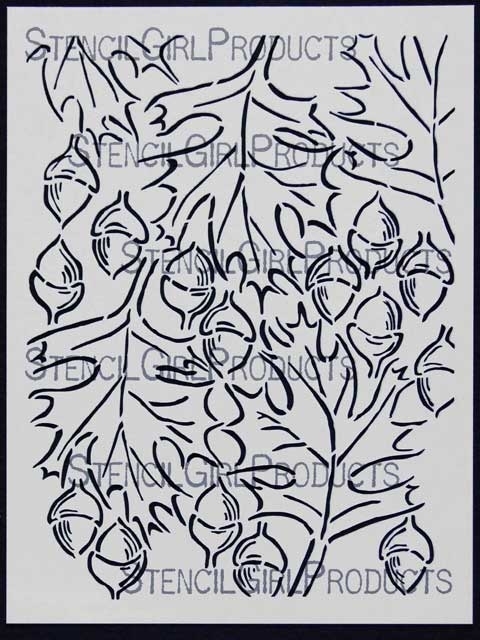 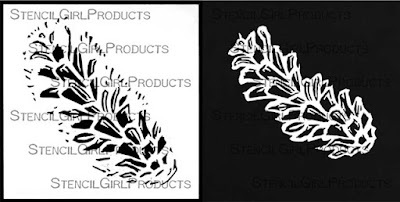 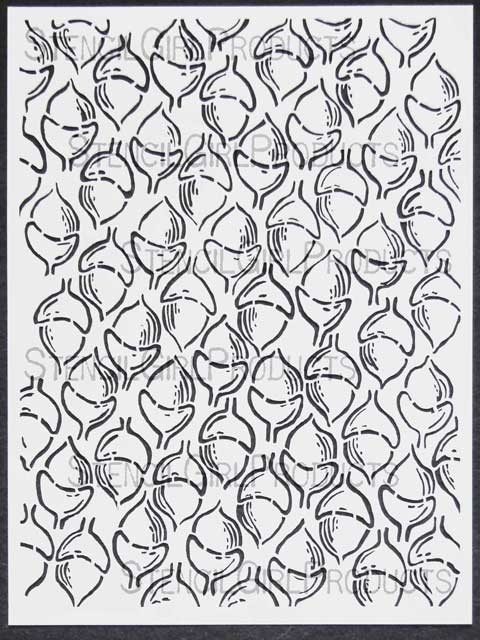 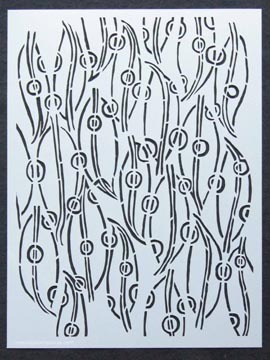 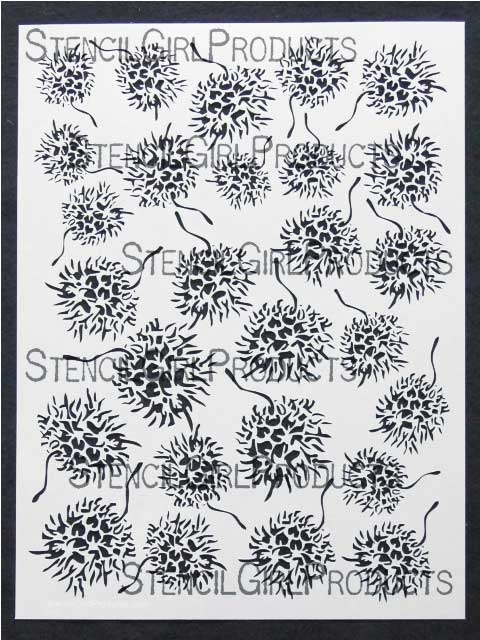 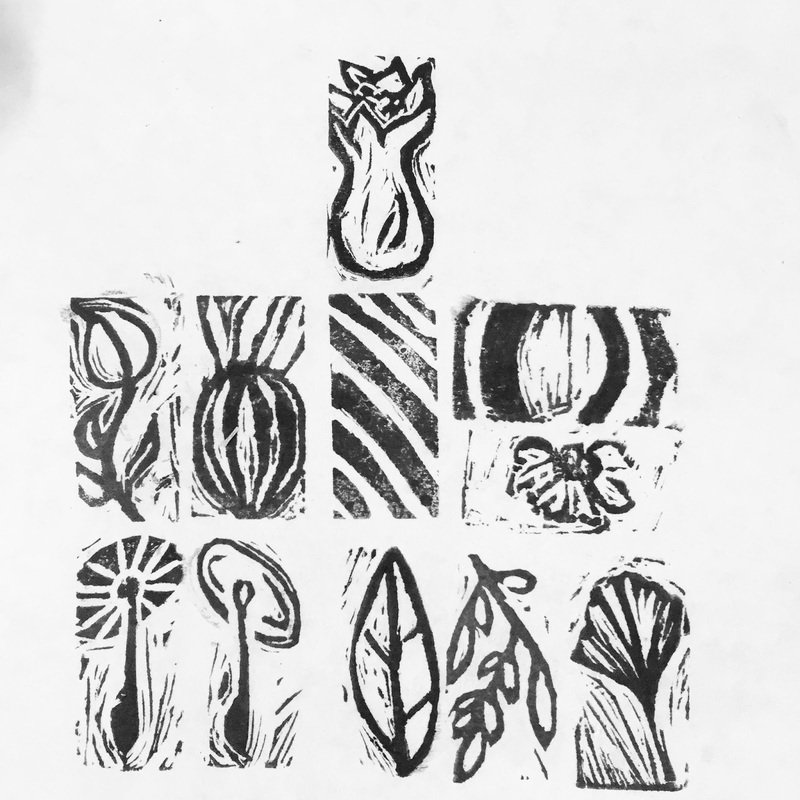 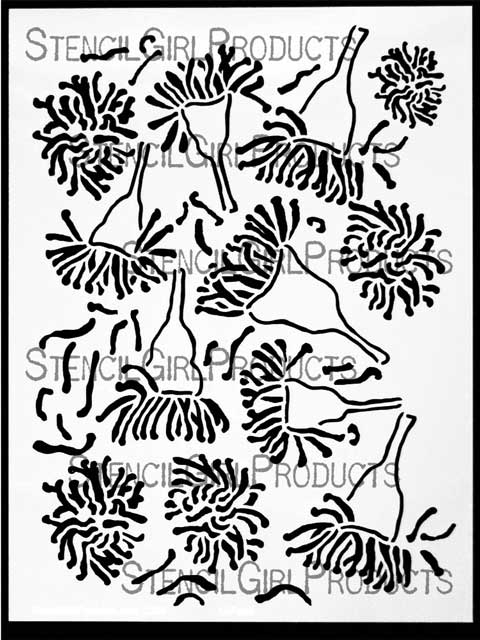 You can find all my JANE LaFAZIO designed stencils here. 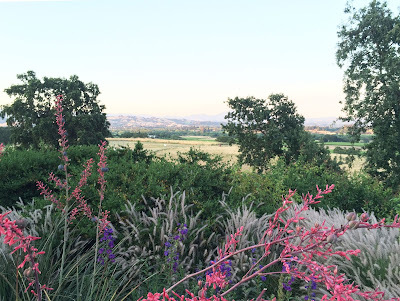 I told you about Bishops Ranch here, and about the "Garden Patch" workshop I taught here. I had a full day to draw and paint, before my students arrived, and I did paint some mornings and after class. 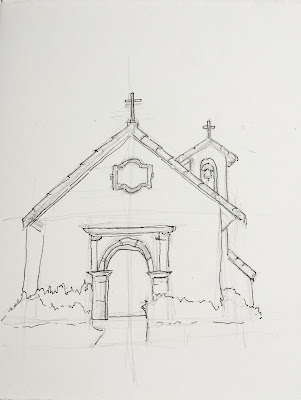 Here are some of page of my sketchbook. See that second chair from the left? 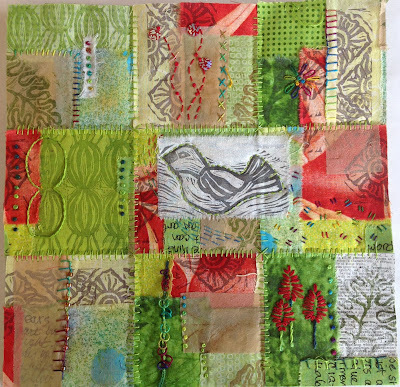 I did use the inspiration from my sketchbook to add to my 'Garden Patch' art quilt. 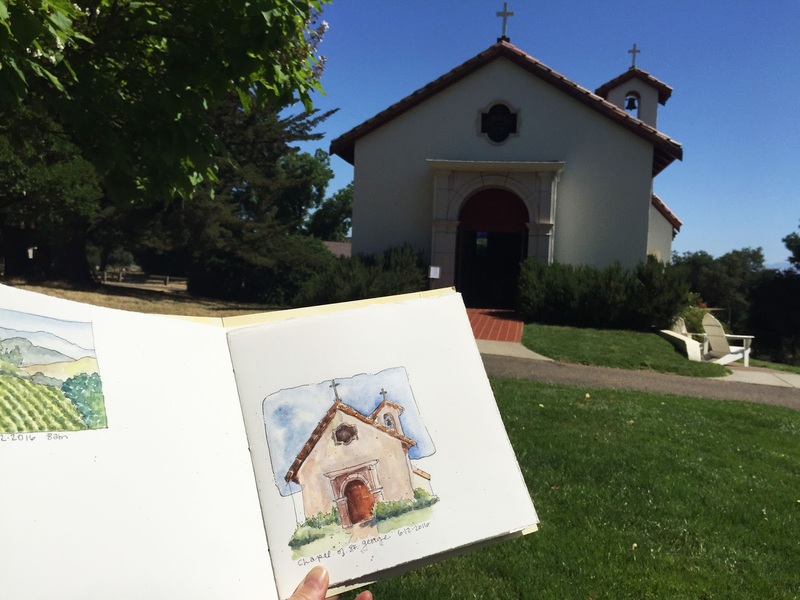 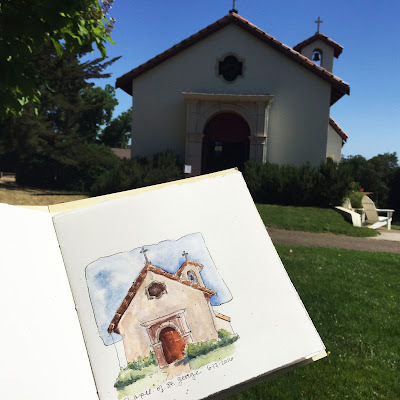 I brought a sketchbook with me, and filled it while I was at Bishops Ranch. 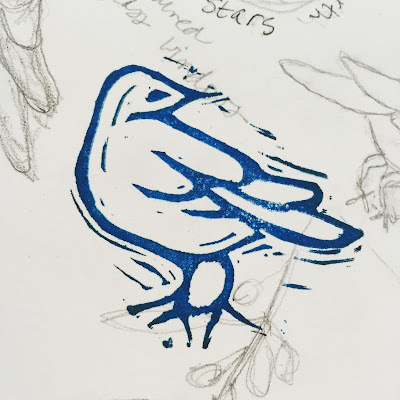 I promise to show it to you soon! 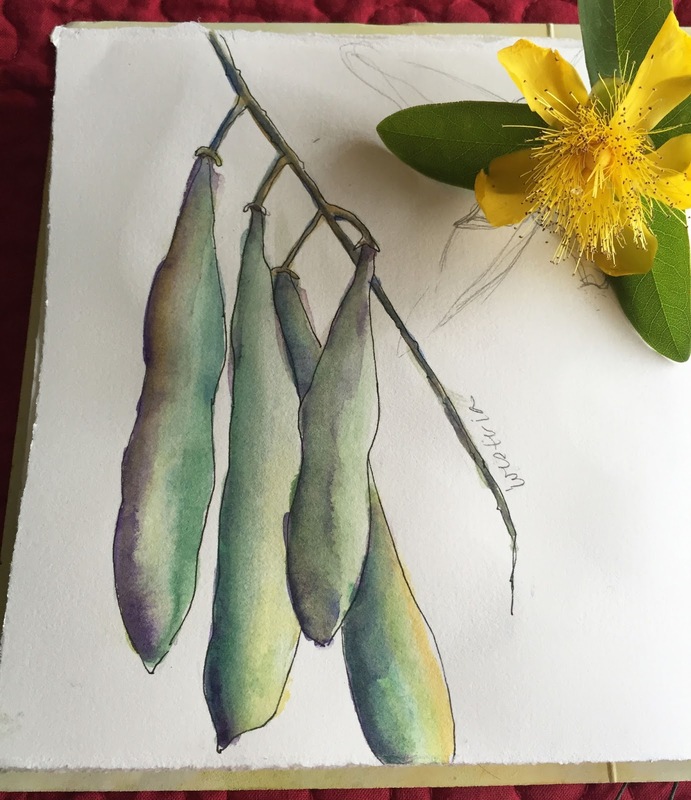 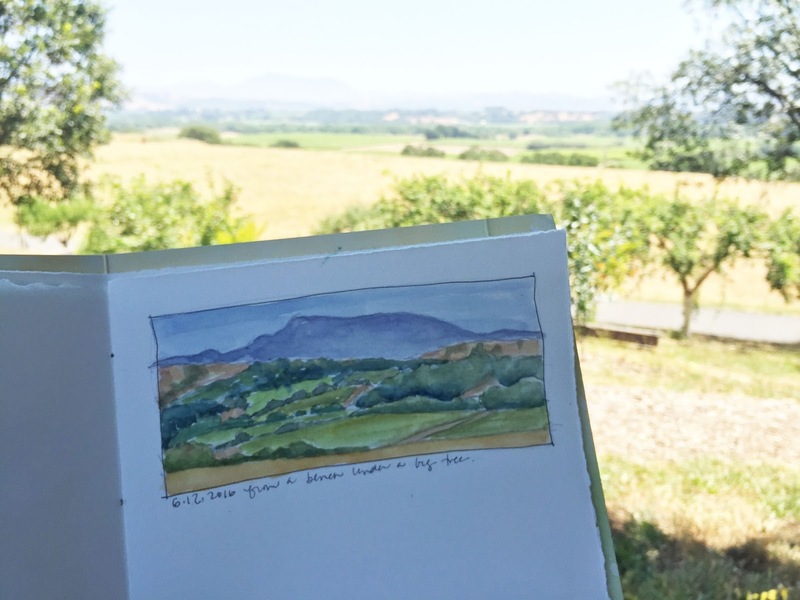 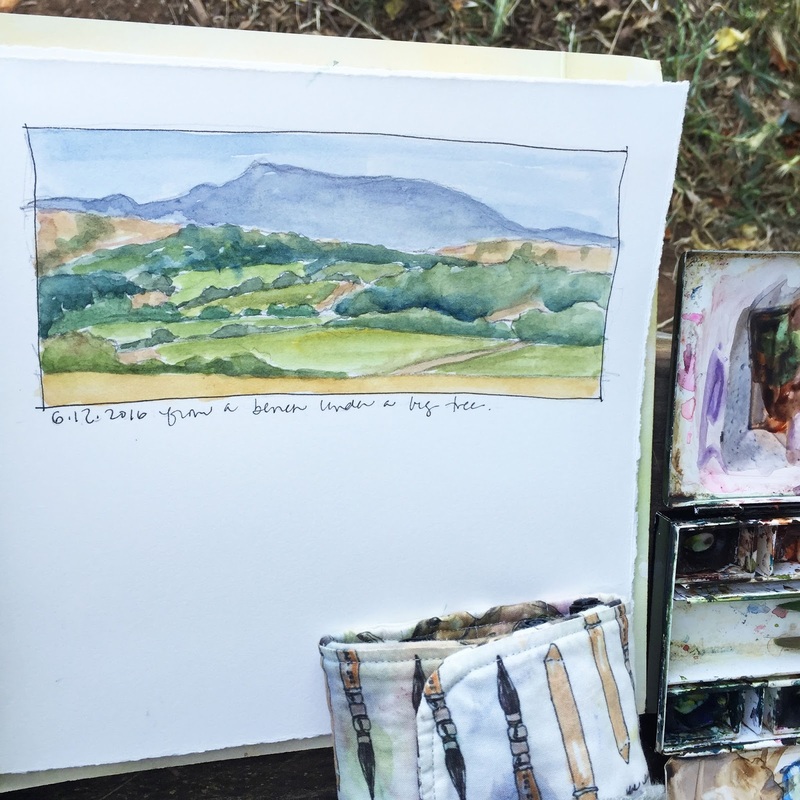 I hope to teach there again, and do a "Nature Journal" workshop since there are so many things and vistas to draw and paint on the grounds of the ranch. 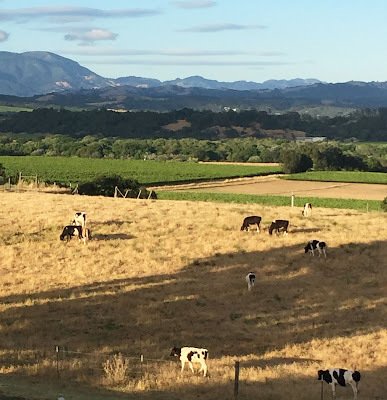 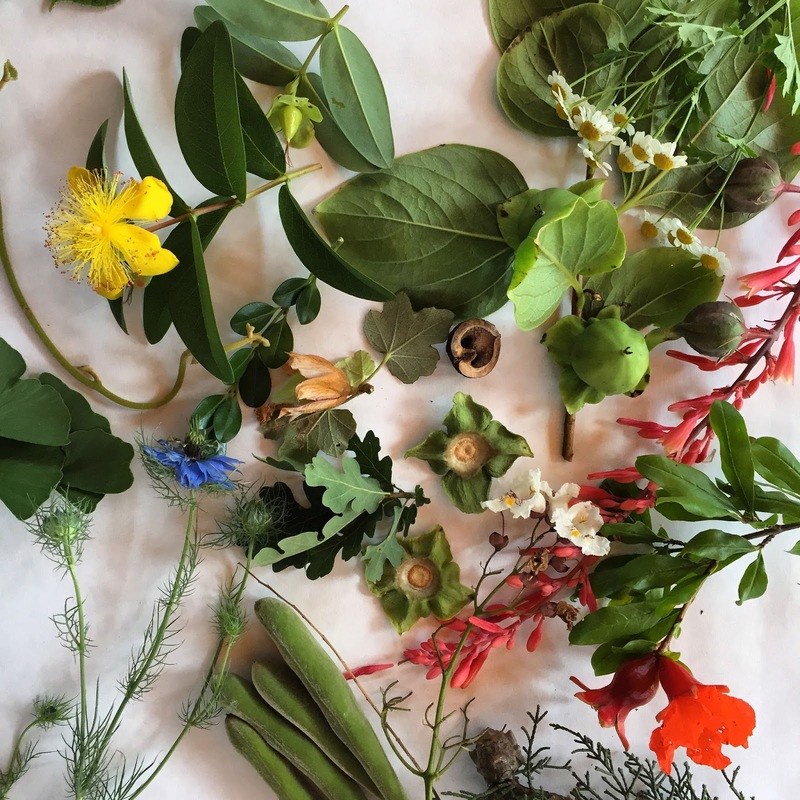 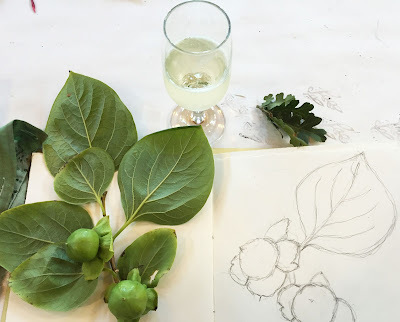 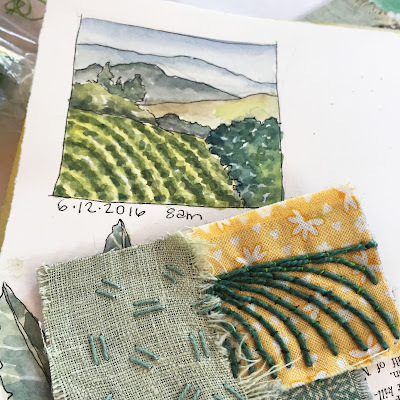 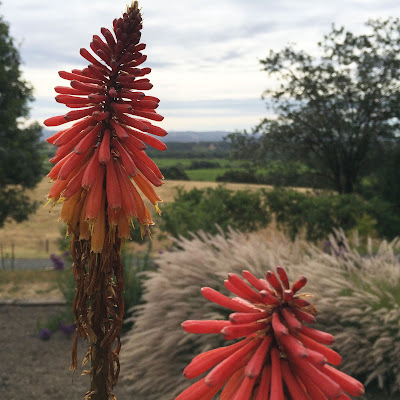 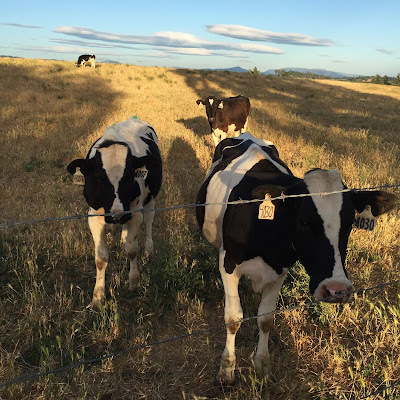 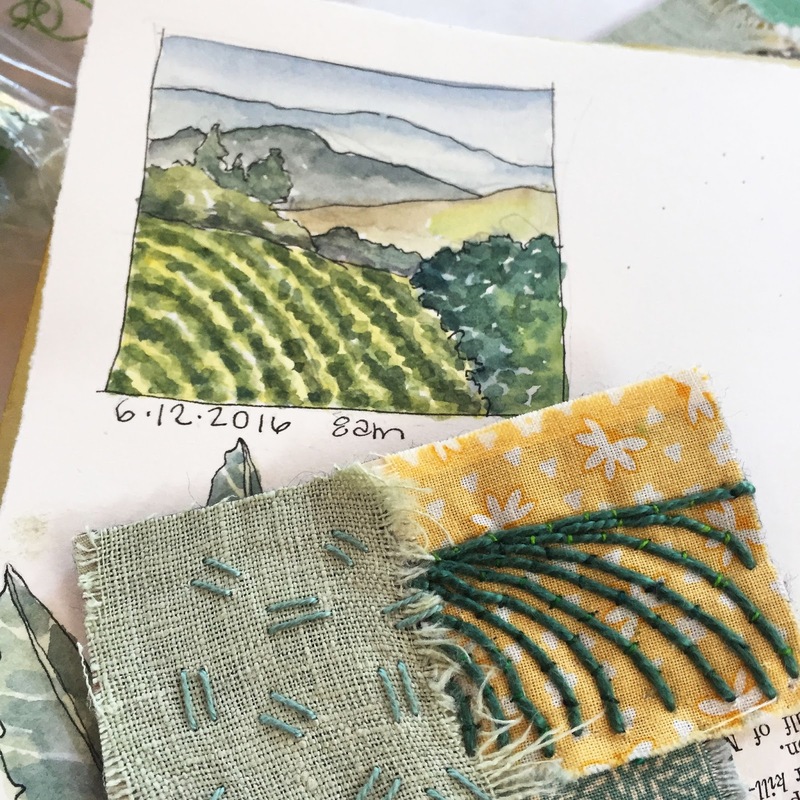 I taught a 4 day workshop 'Garden Patch' at Bishops Ranch in Healdsburg in Northern California and in my last post, I showed you the beautiful countryside of Healdsburg. We started the workshop by walking the grounds looking for inspiration for our quilts and our hand carved stamps. 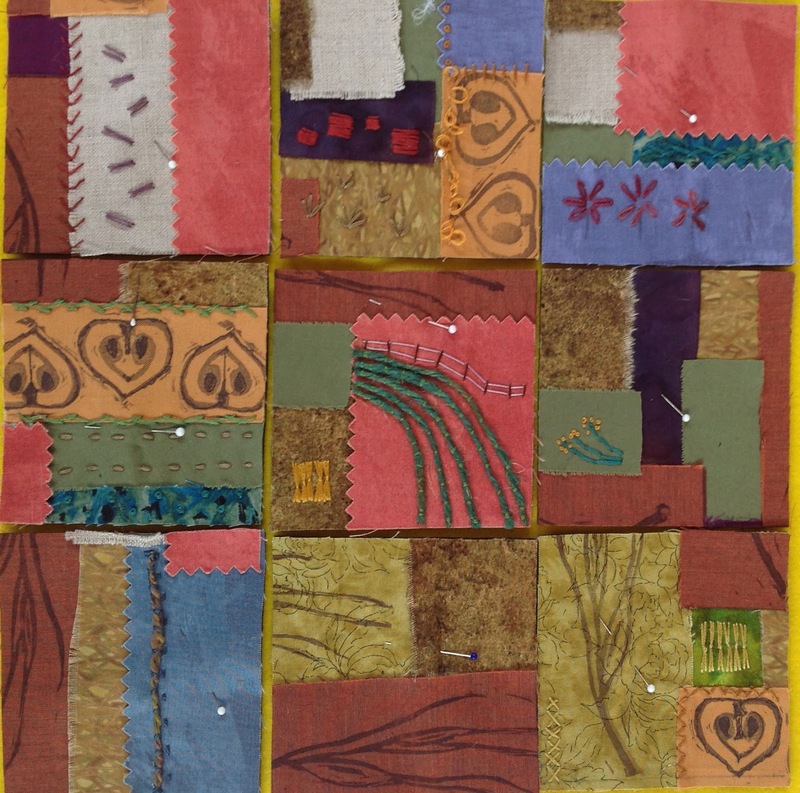 Here is are the art quilts, created by the students. 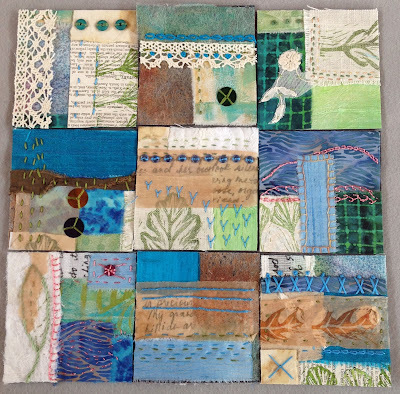 Most are 12x12 inches. Pretty fabulous work, huh? 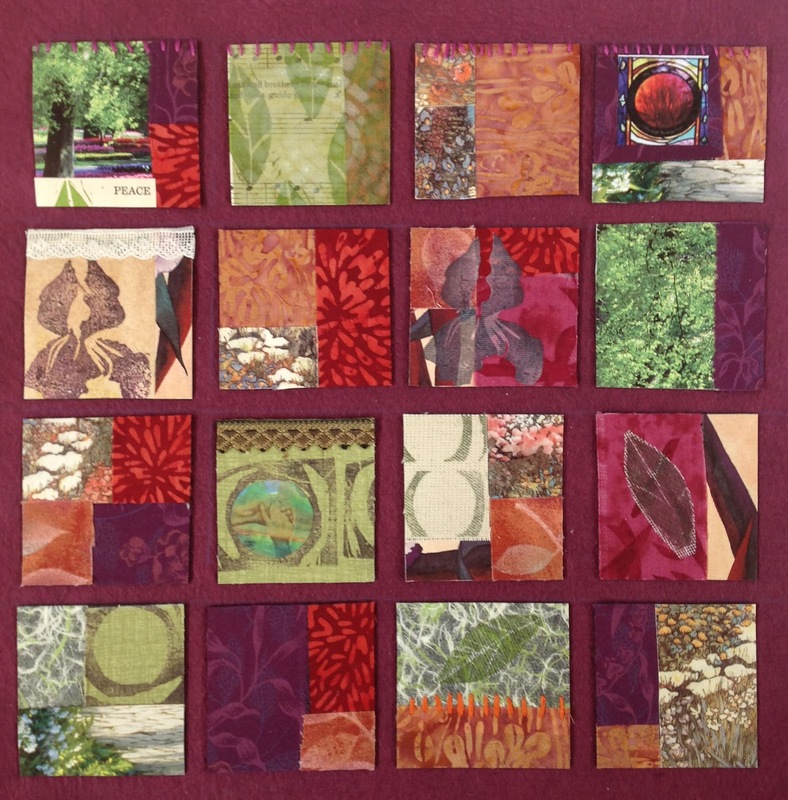 I love how each quilt is completely original, even though they are learned the same process and techniques from me. 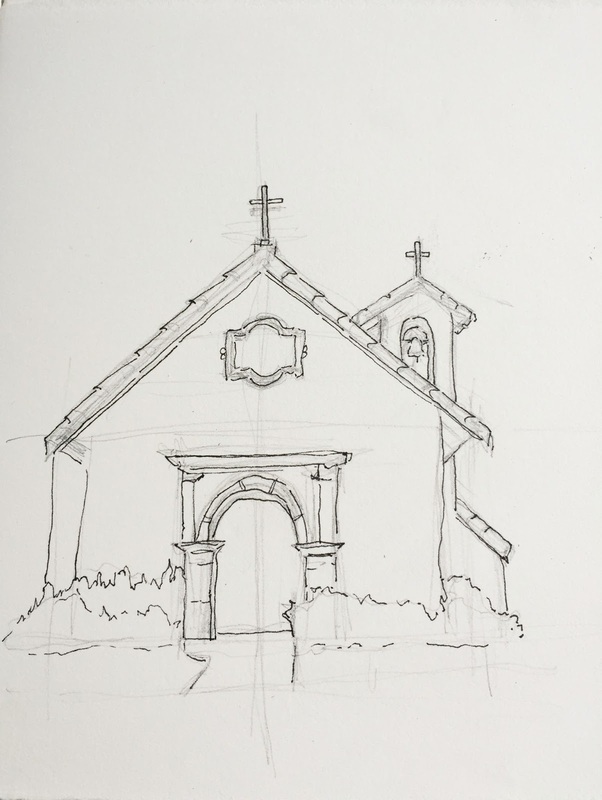 Next post, I'll show you some of my work and my sketchbook. 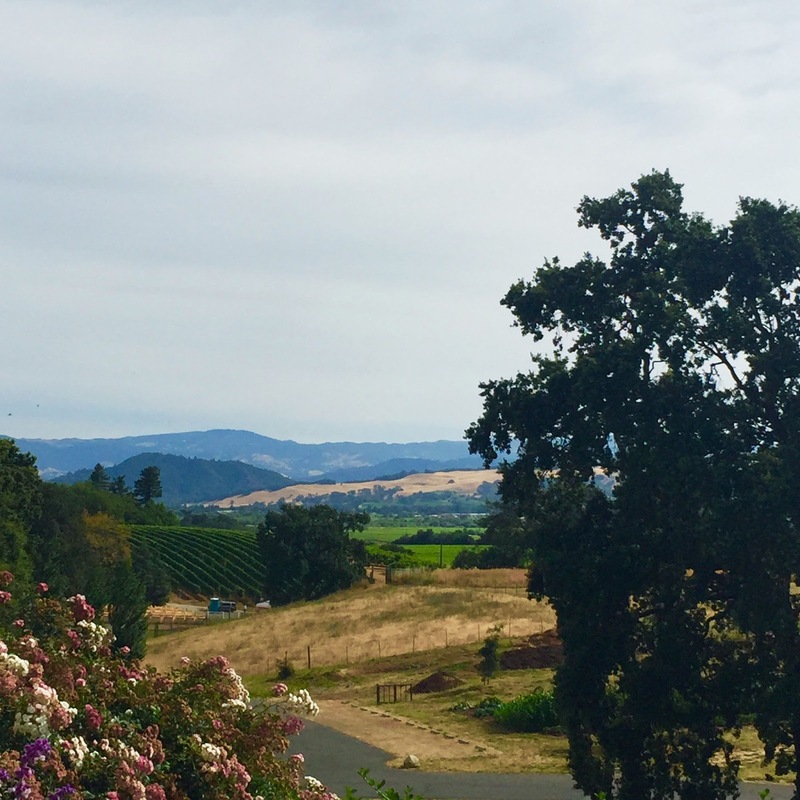 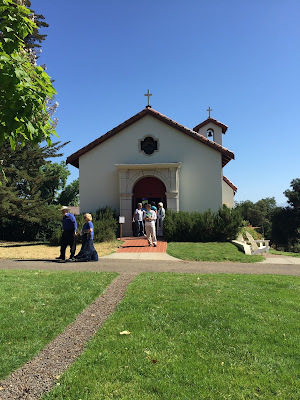 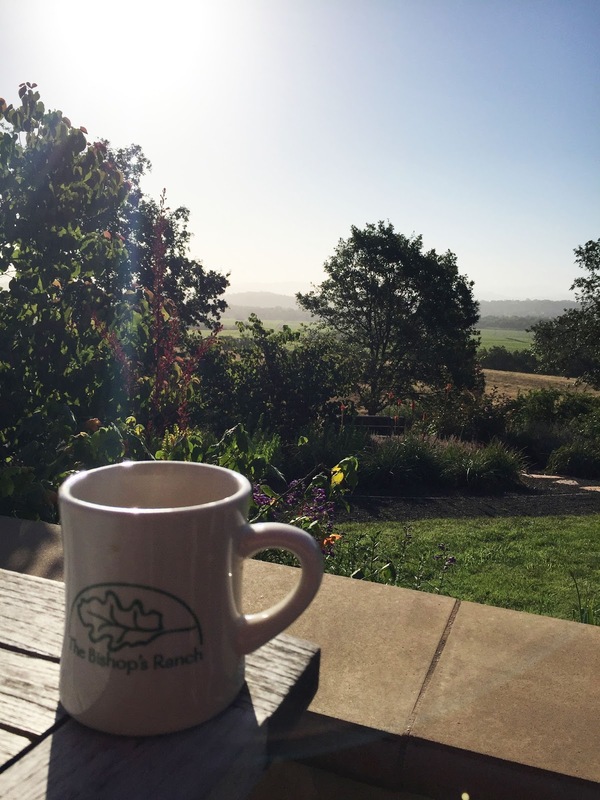 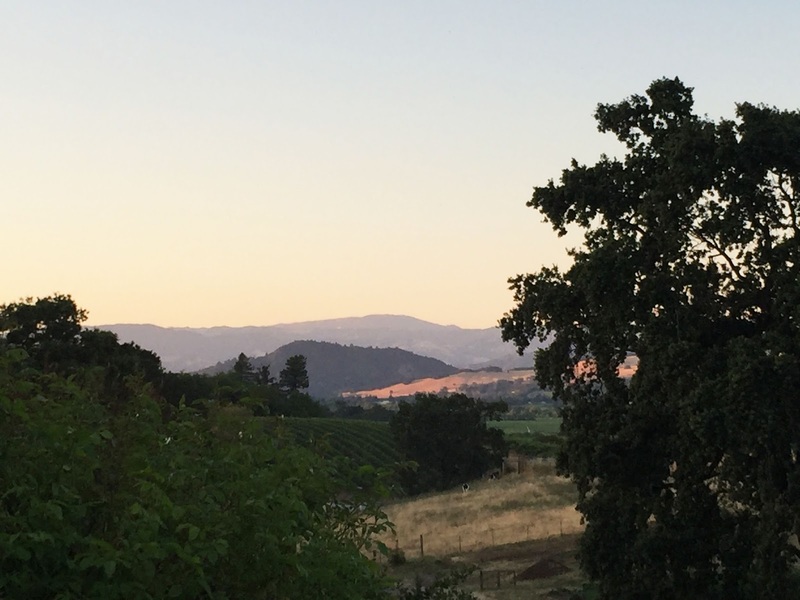 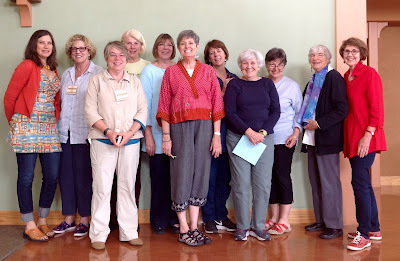 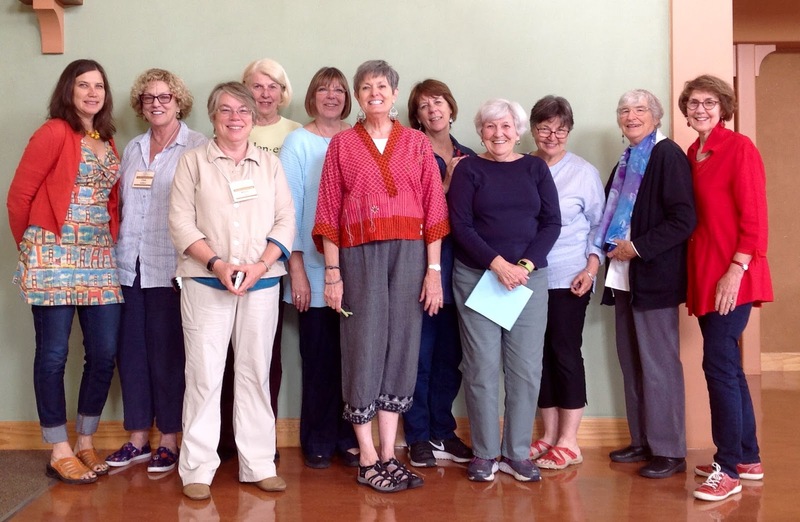 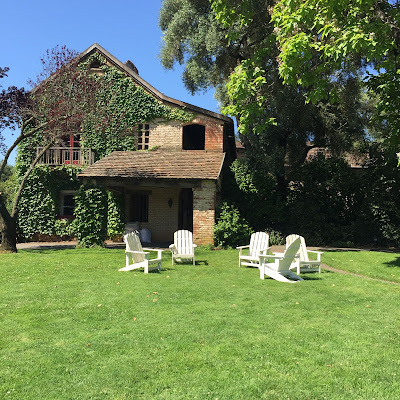 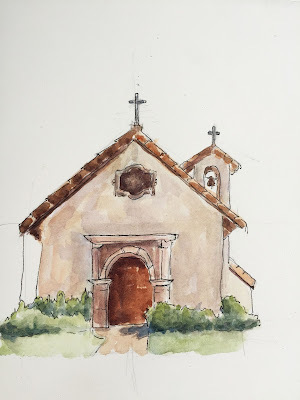 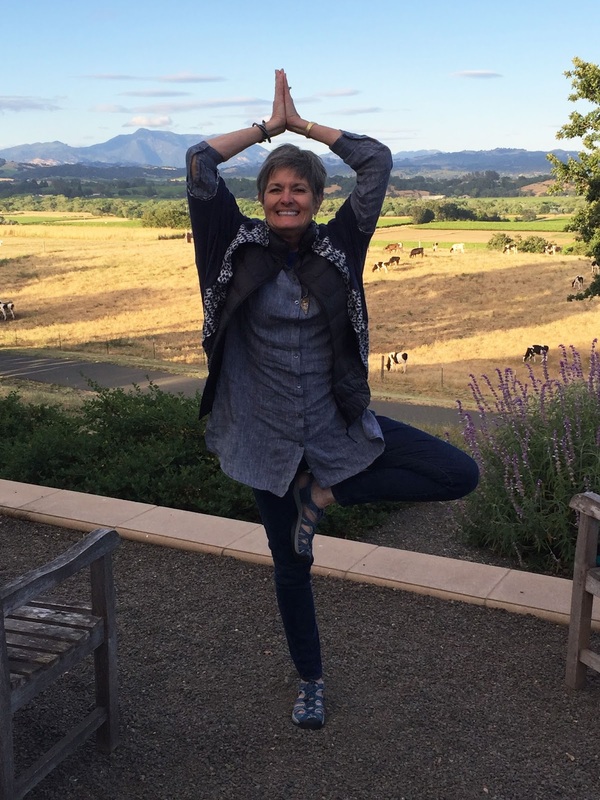 I just returned from teaching at The Bishops Ranch in Healdsburg, California. It's located in Healdsburg, the Northern California wine country. 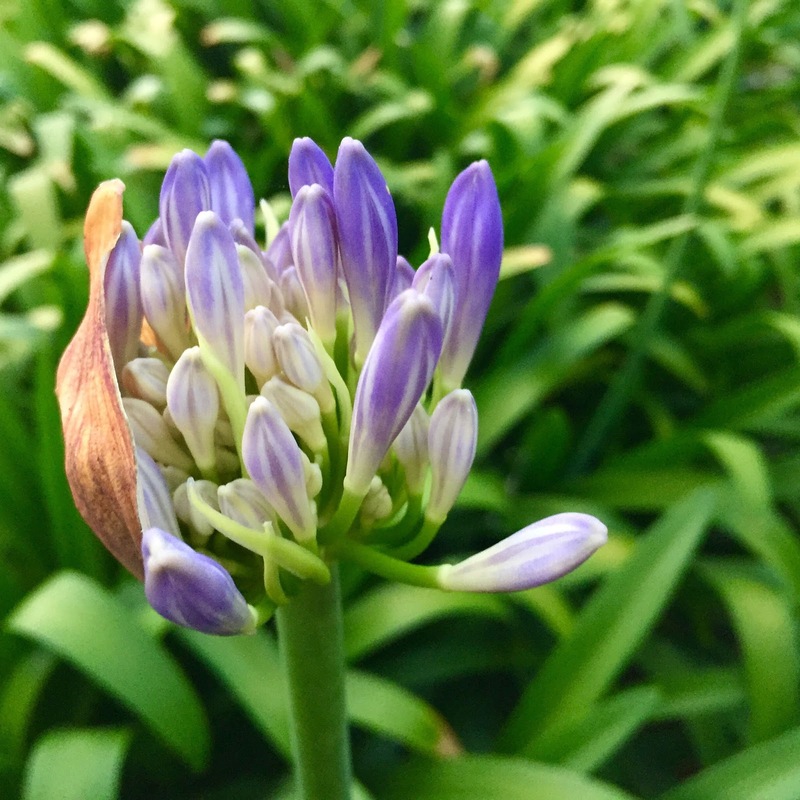 And oh, is it beautiful! I grew up in Northern California, the San Francisco Bay Area, and these golden hills hold so much memory and beauty for me. 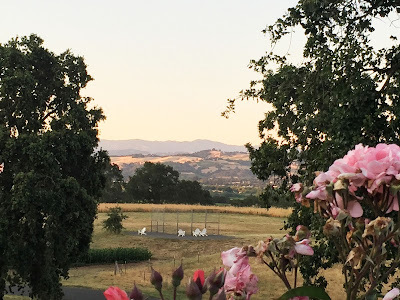 They are my childhood landscape, and part of my DNA. The retreat grounds are set on a hill, with these beautiful views, and the flowers and trees were blooming and fruiting. It was gorgeous. 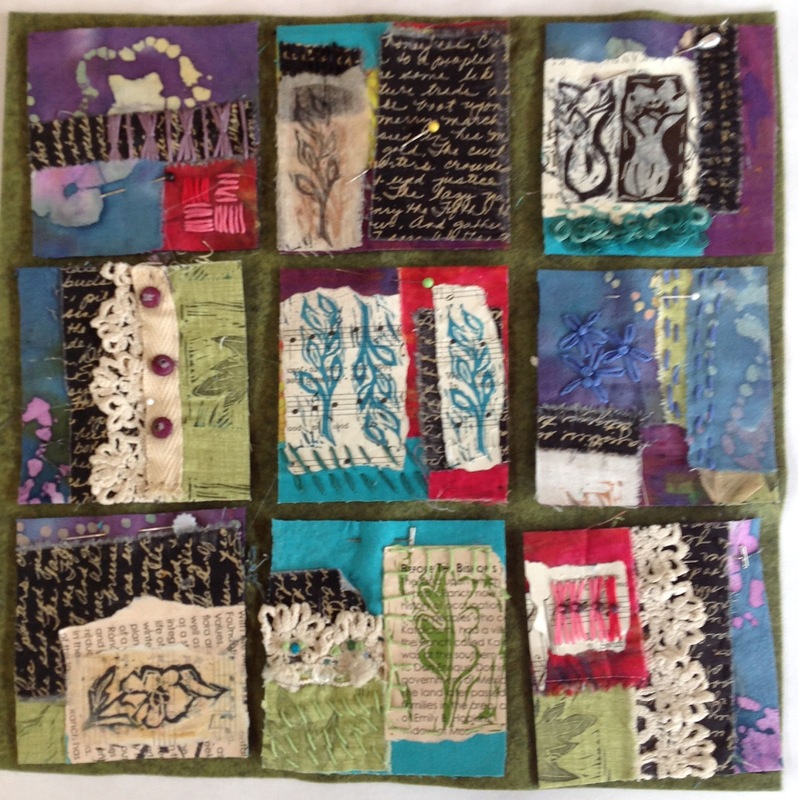 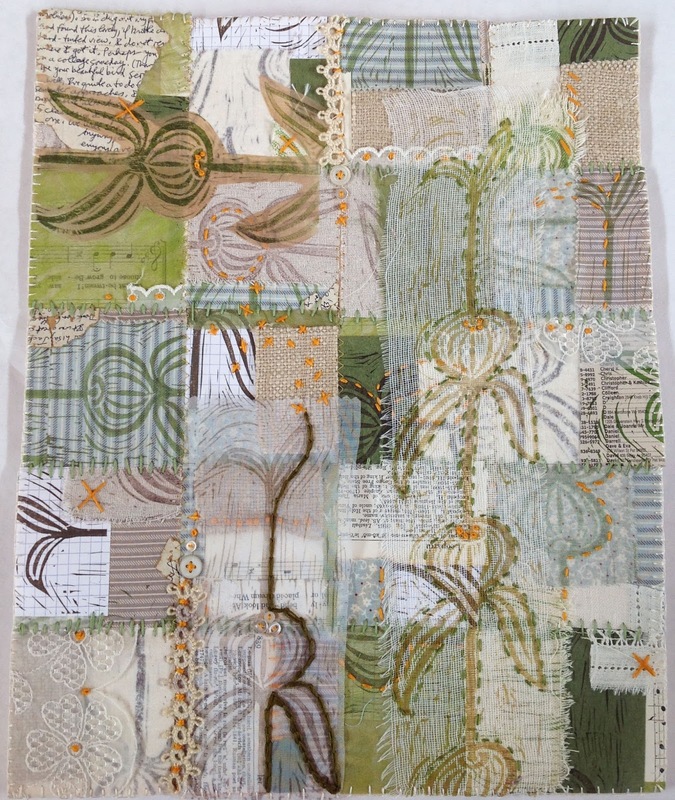 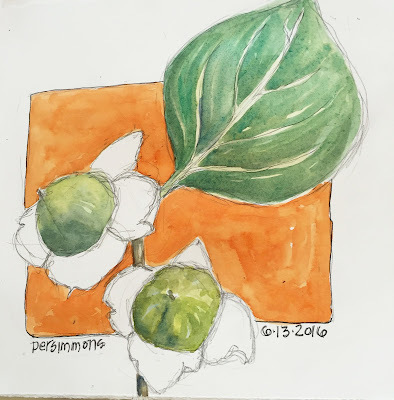 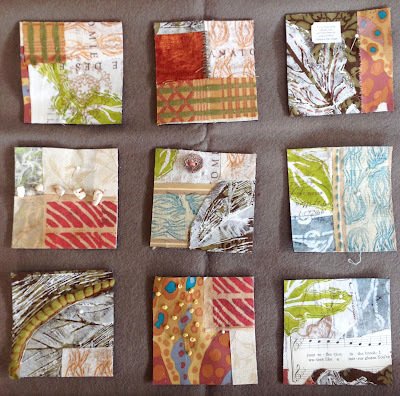 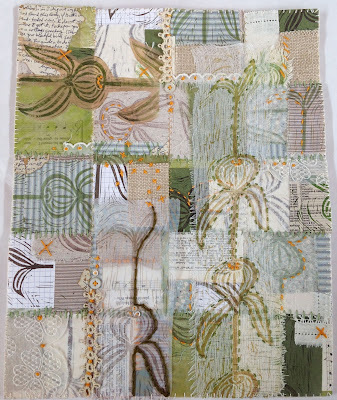 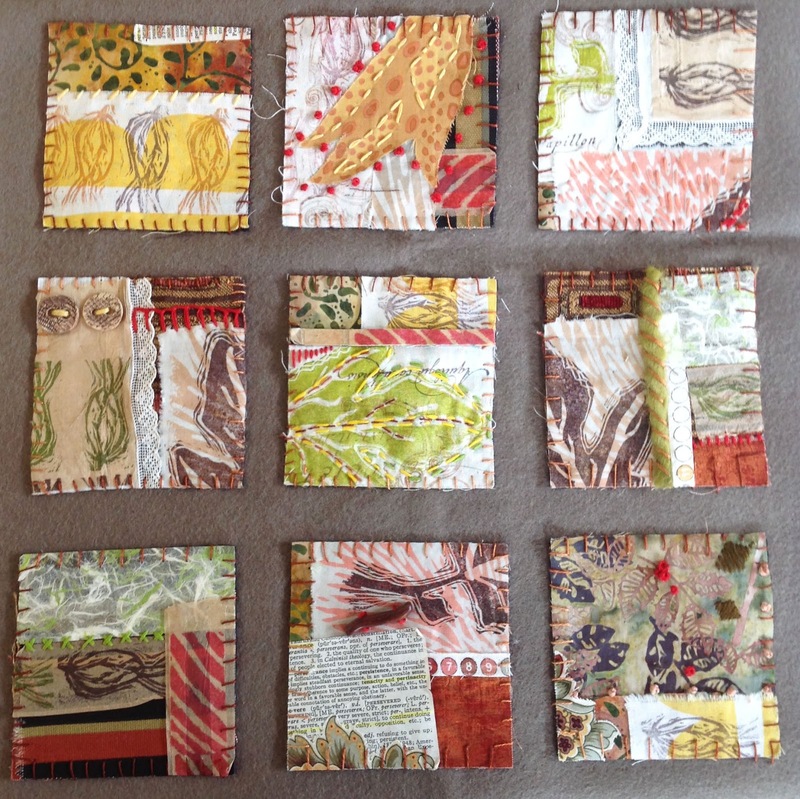 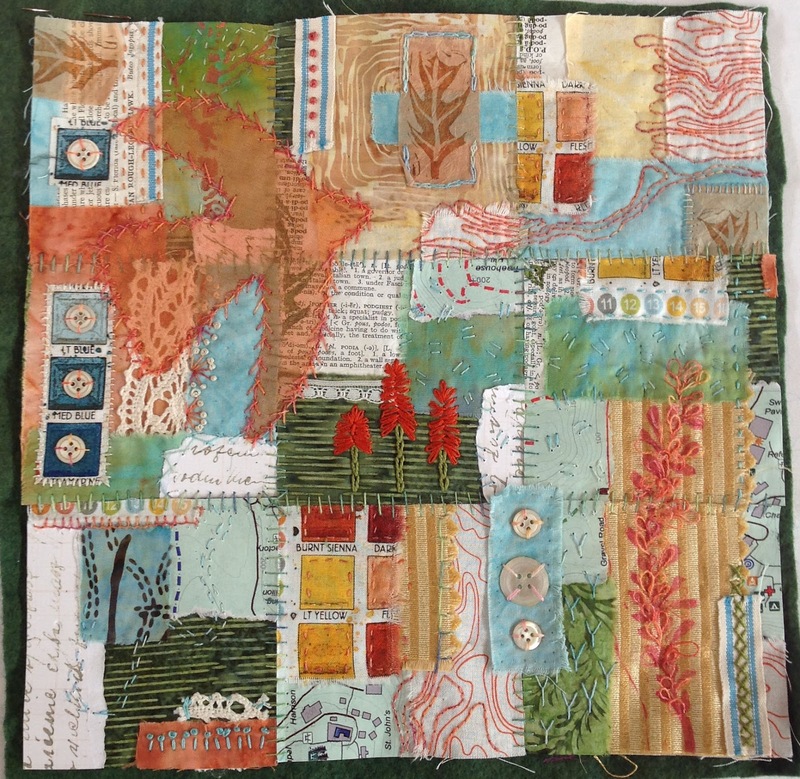 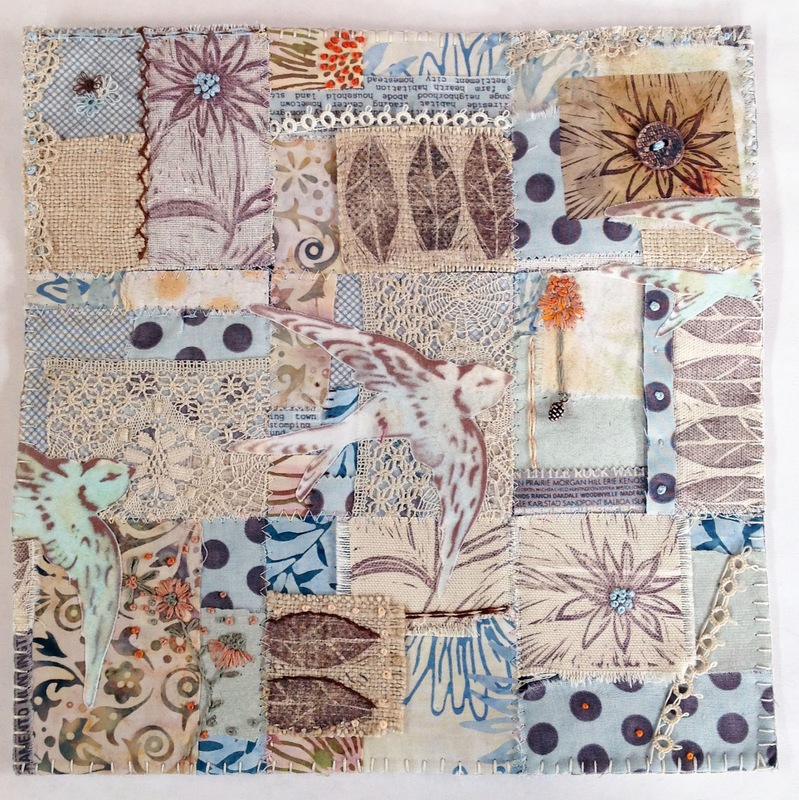 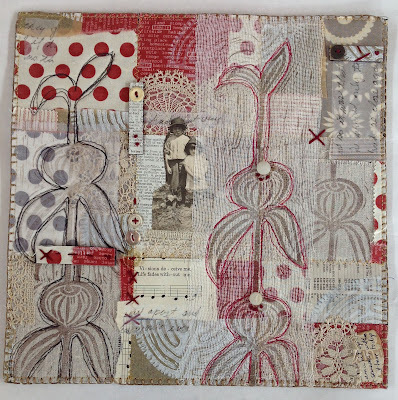 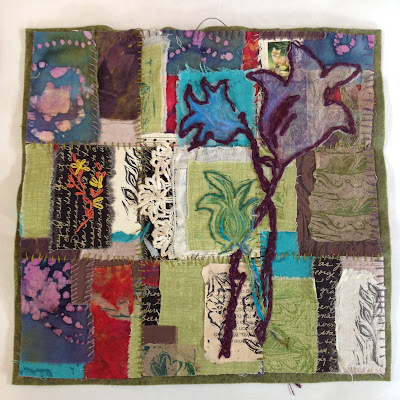 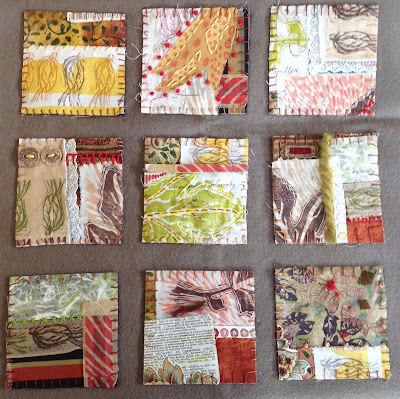 I was there teaching "Garden Patch" a 4 day art quilt retreat.Next post I'll show you some of the class work. 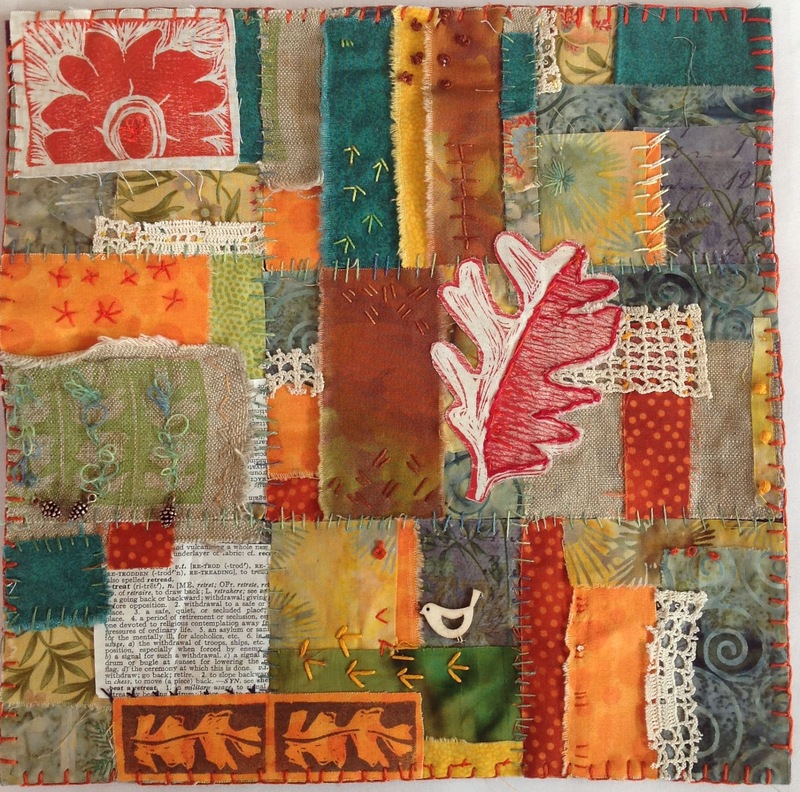 Retail therapy in my JaneVille Etsy shop.